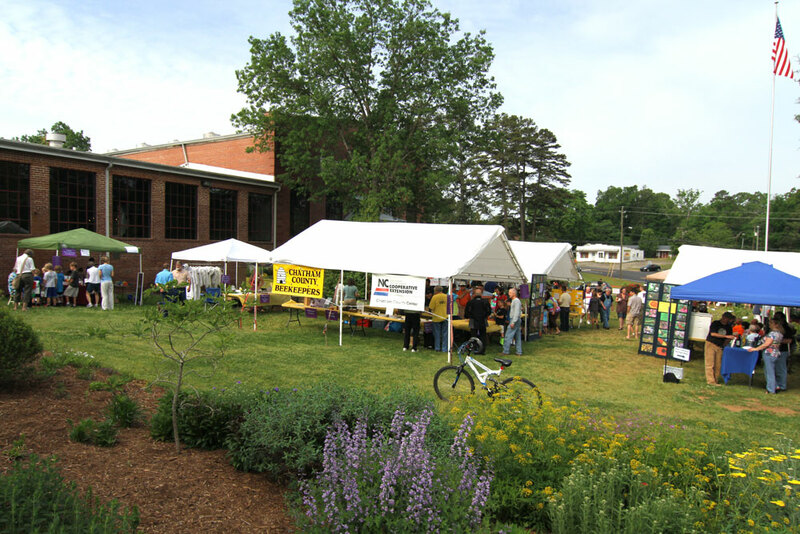 Come join the Chatham County Center of North Carolina Cooperative Extension and the Chatham County Beekeepers’ Association for our 8th Annual Pollinator Day Celebration on Saturday, May 30, from 9:00 a.m. til 1:00 p.m. on the lawn at Chatham Mills in front of Chatham Marketplace in Pittsboro, NC. The purpose of Pollinator Day is to raise public awareness of the importance of the bees and other pollinators that are needed to produce 80 percent of our flowering plants and one third of our human food crops. The event is co-sponsored by Starrlight Mead. We have a great program planned for folks of all ages and all activities are free! You can hear a presentation about beekeeping – how to get started, equipment needs, management tips – from expert beekeepers. Watch an expert beekeeper work an actual hive inside a bee cage (bees inside, participants outside!) and see honey bees up close and personal. Learn about what to plant in your garden to attract butterflies and bees and other pollinators and tour Cooperative Extension’s demonstration Pollinator Paradise Garden at Chatham Mills and get a close look at visiting pollinators. Sample delicious foods made with local honey and get recipes for how to cook with honey. Ever tried honey wine? Co-sponsors Starrlight Mead will be doing a mead tasting and a mead making demonstration. Visitors can also visit the meadery where they produce their award-winning honey wines on the Chatham Mills property! Visit our kids’ tent with lots of activities for kids including a scavenger hunt, plant-a-pollinator-plant, beeswax candle making, face painting, pollinator games, and more! Watch “Bee TV” – park yourself in front of an observation hive and watch the worker bees tending to the queen. It’s mesmerizing! We will be giving away native plants and gift certificates from local businesses throughout the day, thanks to generous support from Niche Gardens, Mellow Marsh Farm, Cure Nursery, Big Bloomers Flower Farm, and Country Farm & Home Supply. For photos and a program schedule visit the Growing Small Farms website. Click here to learn more about our 2015 Pollinator Day Celebration.